My personal favourite (because myself and my family are going!) 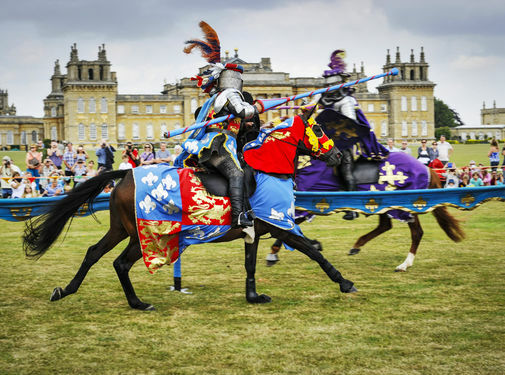 is the Jousting tournament at Blenheim Palace, my son is 6 and will be totally in awe when he see’s ‘real’ Knights on horses! There will be Jesters, Jugglers, Birds of Prey, Dragon Puppets and ‘have a go’ archery. The event is on from Friday the 19th to Sunday the 21st August and is open from 10am each day, until 5.30pm. The beach is back and it’s bigger and better than ever before! FREE to use it is open all day every day until the end of the summer holidays and even comes complete with outdoor games and a Beach Hut Café. So…grab your passport, flip flops, bucket and spade and join us for a fun-filled programme of activities this summer. Get lost in the Maize Maze… The 2016 Maze Theme is ‘Millets Majestic Maze’ Complete the Queen’s Quest…and gain her Royal Seal of Approval Come and visit for an a-maizing day of family fun; with a mega maze, midi-maze and mini-maze, plus quizzes to play in our 3 woodlands, fort maze plus our popular courtyard play area with go-karts, pedal tractors, sandpit, bouncy castle, trampolines, skittle alley, garden games and more!! Opening/closing dates and times 2016. Open daily from 9.30am – 6pm (last entry 4:30pm). Daily from Friday 15th July, throughout August until Sunday 4th September, then 10th & 11th weekend in September. Family Activity Days for adults and children up to 10 years old Everyday from 19th July to 4th September. 1300 hrs to 1700 hrs. Get a ticket and join us in Phoebe Wood at the bottom of the animal walkway. Tents, shelter building, dens, treasure hunt, nature, craft and lots more fun. Children – £9.99 each (up to 2 adults free if accompanied by a child) If you are interested in the above, please purchase your tickets at the SPR Expeditions hut along the covered walkway at Millets Farm, as places are limited. This weekend and until the 4th September, you can see Neverland come to life at the Oxford Playhouse. “This world premiere stage adaptation of the official sequel to J.M Barrie’s Peter Pan is the perfect adventure for the whole family. It’s 1929, and Wendy and the Lost Boys have all grown up when strange dreams begin to seep out of Neverland. Pirates and mermaids, war paint and crocodiles – the dreams tell them that something must be wrong, and their friend Peter Pan needs their help. So Wendy and the Lost Boys put on their children’s clothes and, armed only with fairy dust, fly back to Neverland for one last adventure. Take a look at the website for great deals on Family tickets. “After breaking out of the zoo, an excited squirrel returns to his home forest. He learns from his best friend, a spiky porcupine, that while he was in prison the entire forest was picked clean by The A.C.O.R.N.S. Institute (Alternative Cosmetic Oils for Regenerative Natural Skin-care). No acorn was left behind.With winter just around the corner, it’s a big blow to all forest animals, they have no choice but to bust into the brand new, state-of-the-art, rodent- proof A.C.O.R.N.S. Processing Plant and take back all of the acorns. 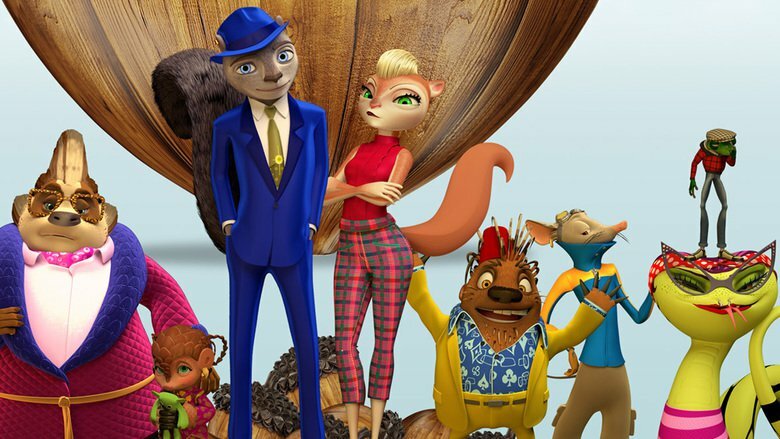 Get Squirrely isn’t restricted to the weekend, there are more showings during the week, as well as other films during the ‘mini mornings’, including Angry Birds and Kung Fu Panda 3 – Take a look at the website to see more and book your tickets.